Whether you are experienced in care or looking to start out in your career we would love to hear from you! Make a big difference to someone's life - join our adult social care workforce today! Are we what you are looking for? Make a difference to your day because you’re making a difference to theirs. With opportunities available across North Yorkshire and with hours to suit you, there really is something for everyone. Whether you have worked in care before or not - we want to hear from you! If you want your career to involve doing something that people genuinely appreciate, whether you are experienced or looking to start a new career; we would love to hear from you. Working in the care sector is far more than just a job. It is interaction, communication and relationship building. The enjoyment of activities, sharing of stories and memories, all whilst learning from the vast life experience of the people you support. When working in the care sector no two days are the same. The positive impact you can make to the lives of others is invaluable. It will make a difference to your day because you’re making a difference to theirs. Maintaining dignity, choice and control, respecting human rights and maximising the independence and wellbeing of those you support is key. You will have the opportunity to meet and work with a variety of different people including relatives and friends. If they’re happy and their families are happy, you will be too. Working in the care sector offers a great deal of flexibility, working hours to suit you, helping you to achieve a better work life balance, enabling you to pursue other employment, hobbies or interests outside of work - whether your working in a care role or a registered manager role. We also offer a range of financial incentives and enhancements for weekend and night working, so you will never be out of pocket! As a council we offer an abundance of reasons to come and work for us. If you do not already hold the Level 2 in Health and Social Care or the QCF Level 2 Diploma in Health and Social Care, that isn’t a problem. All we ask is for your commitment to study the qualification with full support and training from us to help you to develop. Staff development is important to us so we will also pay for you to complete it via our apprenticeship training route. If that isn’t enough, what else can we offer you? The opportunity to broaden your experience by working in other areas of our service. Access to a secure and flexible employee pension scheme. Our existing staff love what they do - making a genuine difference to the lives of those who need them the most! 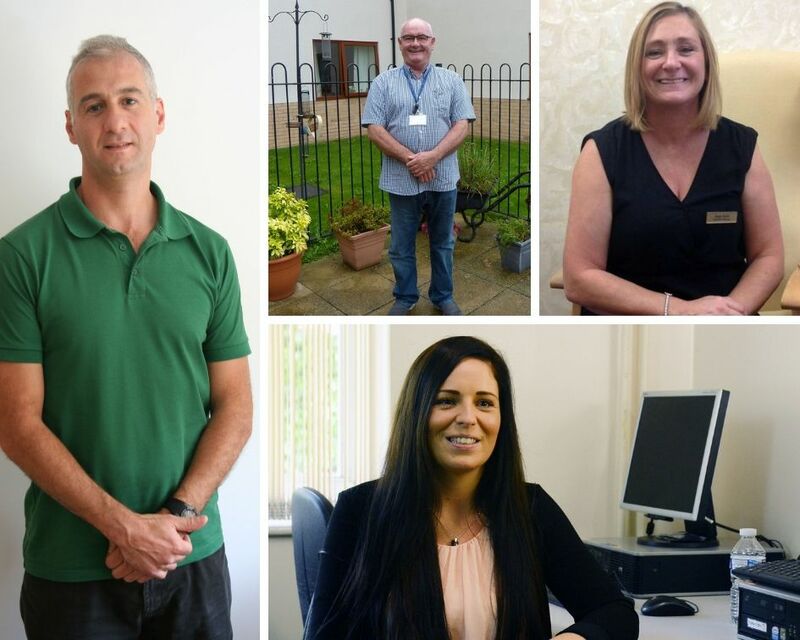 They all come from a diverse range of backgrounds and all have their unique story to tell about why they love working in care. Some work in front line care roles and others have progressed into management roles - you could achieve either with us! Throughout his career, Reda has made a real difference to the lives of many people. Whilst living in London he took on a voluntary role within the NHS and has since relocated to North Yorkshire. Reda now works in the reablement team helping people get back on their feet. After working as a builder since the age of 15, the only regret Bobby has of making the move into care is that he didn’t do it 20 years sooner. Although officially retired now, Bobby provides relief cover which offers him a great deal of flexibility. Bobby enjoys the relationships he has with the people he supports, their families and colleagues and says that his role helps to keep him young. Throughout her career Angie has progressed through the ranks to get to where she is today. Driven and determined, she has always had a passion for social care values. Angie has benefitted from extensive career development opportunities completing an NVQ Level 2 and 3. She now holds a Level 5 Leadership Diploma in Adult Social Care, all achieved whilst doing a job that she loves. She is a real example of how you can progress you career in the care sector. We have a variety of care roles available across the county. Whether you are looking for a care and support role or a management role, full time, part time or relief work and whether you like to work out and about in the community or prefer to be situated in an elderly person's home, we have just the role for you! For all of our vacancies you will find the managers contact details on the advert when you select the apply button. We encourage you to call managers to have an informal chat about the roles and even arrange a visit with the establishment to have a look around.